Our district completed another successful Rotary Youth Leadership Awards event last June at Fitchburg State University, with 188 high school sophomores attending from more than 40 schools. These enthusiastic, energetic and creative kids attended an incredible series of training and education events over a three-day period. Each year, a group of 25 to 30 of the RYLAns are selected as group leaders to train the next year’s RYLAns. Of those, a select few are chosen to supervise the group leaders the following year. The graduation and awards ceremony was held on the final afternoon and more 400 parents and Rotarians were in attendance. Just think about this for a moment. The implications are enormous. Our Rotary district has provided leadership training for almost 4,000 high school students during the past 20 years. We have invested almost $500,000 in this effort. The RYLA training program has evolved into a highly sophisticated training and educational program. We have impacted more than 40 schools and communities, myriad teachers and administrators, 8,000 parents and, most importantly, 4,000 students! For all those Rotarians who have not participated in the RYLA program, I strongly suggest you avail yourself of the opportunity. It is simply an exciting and exhilarating experience. And for those Rotarians who have spent countless hours planning and executing the RYLA program, congratulations on a job well done! 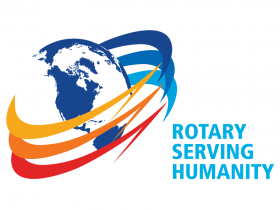 What are the implications for membership in Rotary? Think about the numbers and the contacts mentioned above and the time span. Does your club maintain a database of all the RYLA students you have sponsored over the years as well as of their parents, teachers and school administrators? Have we communicated and advertised the RYLA program and its benefits to our communities and the schools? Have we invited the RYLAns back to our clubs to talk about their experiences? Have we maintained e-mail or Facebook communication links to all these folks over the years? Think of how many of our RYLAns have graduated from college, or completed their military tours, or started businesses, or started families and returned to settle in the Central Massachusetts area. Have any of the RYLAns, their parents, teachers or school administrators been invited to join Rotary during the past 20 years? RYLA represents one of the best manifestations of the Rotary Way – the training of youth. It also presents us with a rich field of prospective Rotarians. We should take more advantage of RYLA.